The felting kits are in and ready for a new home. 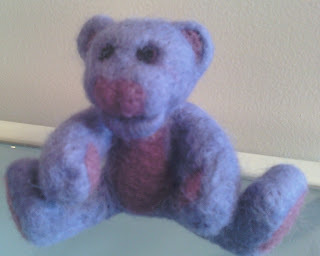 Come by and check out my menagerie of felted critters including this little guy (kits available). I also want to let everyone know that I will be out of the store till Thursday...You can still buy items even when I am not present. Just take the items you want to Teller's Row or see Joyce.